Sittingbourne Baptist Church is a member of the Baptist Union UK and the local expression of that, the South East Baptist Association. We are evangelical in our belief and practice, proclaiming a Gospel of repentance towards God and faith in His Son, Jesus Christ as Saviour and Lord. We practice believer’s baptism by total immersion and acknowledge the entire Bible as God’s Word, having supreme authority in matters of faith and conduct. 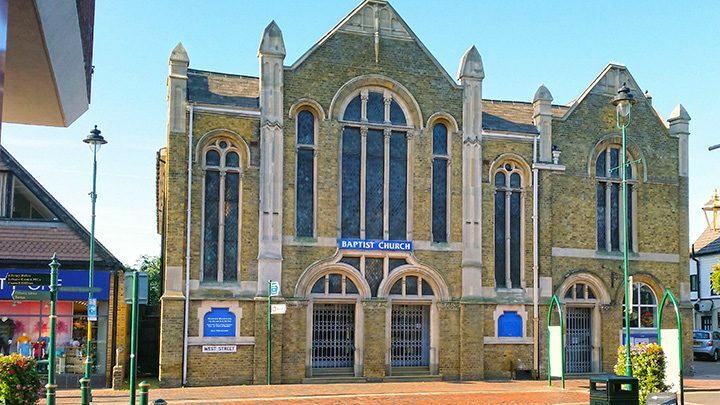 Sittingbourne Baptist Church is a very active church that is deeply concerned about reaching out into the community to bring change into people’s lives both spiritually and practically. Through its different activities the church welcomes people of all ages and has a regular Sunday attendance of around 250 people including a large number of young people and young families. Sittingbourne Baptist Church teaches the relevance of the Bible to all areas of our lives today and its authority in matters of belief and daily living. We believe and teach that God can change our lives, that, as we trust in God and seek His daily help, he can and does change our marriages, our attitudes, our relationships, our daily lives and our eternal destiny.